One young woman must break out in this exhilarating reimagining of Machinal, the American classic play, inspired by the sensational, true story of murderess Ruth Snyder, set in the increasingly mechanized world of New York City, 1928. Trapped in an unhappy marriage, the young woman finds a thrill in the arms of a flyby lover. But when reality returns, how far will her fight for freedom take her? And who will pay the ultimate price? Check for half-price tickets! With a score made of blues, gospel, and rockabilly, the musical captures the real-life exploits of Bonnie Parker and Clyde Barrow, the ill-fated lovers and outlaws whose story has been infamous since they achieved folk-hero status at the height of the Great Depression. Those years in America were uniquely dramatic, creating a reality of survival at all costs. In a 21st century now saturated with reality television and internet stars, the play reflects on their desire for fame, fortune, and love as it explores how far America has (or has not) come in the years since. Check for half-price tickets! How does one pursue the “American Dream” in a country that refuses to offer opportunity indiscriminately? That is the question at the heart of The Elaborate Entrance of Chad Deity, a flashy American satire set in the professional entertainment wrestling world. 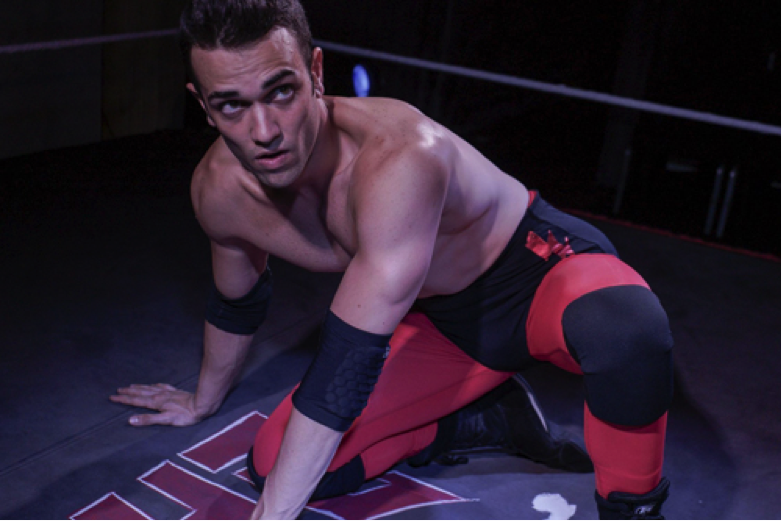 Follow Macedonio Guerra, an excellent Puerto Rican wrestler, as he rises from the bottom of the pecking order. In this interactive physical comedy, Mace talks directly to the audience as fans in his arena, drawing the viewer into the struggle, joy, and heart of the story. The play dissects race, xenophobia, ego, and our moral compass—topics even more relevant now than when the play premiered eight years ago. Check for half-price tickets! A world-premiere adaptation of Margaret Atwood’s acclaimed novel, Alias Grace takes a look at one of Canada’s most notorious murderers. In 1843, 16-year-old Grace Marks was accused of brutally murdering her employer and his housekeeper. Imprisoned for years, Grace still swears she has no memory of the killings. A doctor in the emerging field of mental health arrives to try to find out the truth of the matter. Alias Grace is a fascinating study of memory, culpability, and the shadowy spaces within the human mind. Check for half-price tickets! Based on the novel by George Orwell, 1984 is a terrifying and breathtaking view of a world controlled by a totalitarian government. Orwell asks what is left when freedom of speech, the press, love, and even the past are subject to authoritarian whims? Big Brother is watching. A theatrical event that is both powerful and disturbingly provocative. Check for half-price tickets! Chicago’s own Ron Hawking returns this fall to the Apollo with the 10-year anniversary celebration of The Men and Their Music. 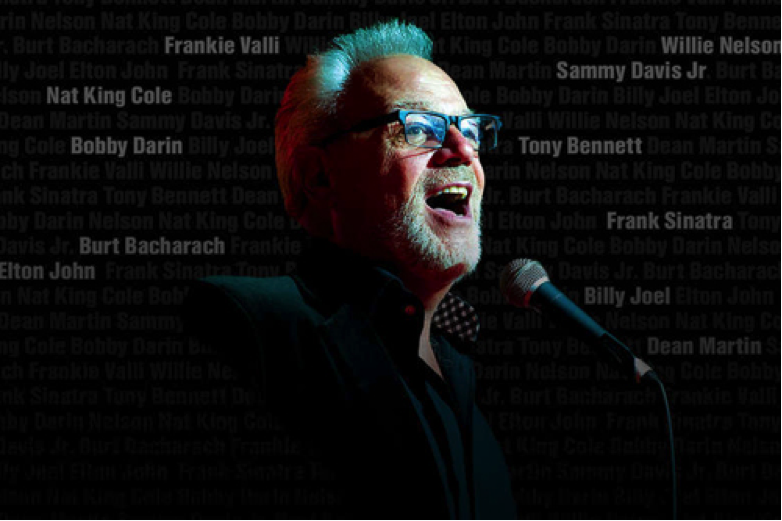 Originally debuting in 2007 at Chicago’s Mercury Theater, The Men and Their Music returns with a refreshed repertoire of iconic numbers from some of the world’s most legendary male vocalists and songwriters, including Tony Bennett, Nat King Cole, Ray Charles, Bobby Darin, Burt Bacharach, and more. As an entertainer and vocalist, Hawking brings to life a treasure trove of hits from some of music’s greatest artists. Check for half-price tickets! A modern American family uses a summer barbecue as a pretext to ambush sister Barbara with an intervention. If you think "all families are crazy" is just a cliché, you’ve not spent time under the influence of the O&apos;Mallerys. An afternoon in the park with these raucous siblings and you&apos;ll be challenging your own assumptions about family, race, and reality. This Chicago premiere will have you laughing out loud and questioning how it’s true that in America, you sometimes taze the ones you love. Check for half-price tickets! A new musical based on a Civil War soldier whose life defied definition. The true story, set between 1862 and 1915, tells the tale of Albert Cashier, a Civil War soldier with a secret. Detailing the soldier’s life, fighting in more than 40 engagements during the Civil War, the musical follows Cashier through retirement and the onset of dementia, when it is discovered that Albert was born Jennifer Hodgers. Causing an uproar in the small southern Illinois community where Cashier lived, Cashier was prosecuted for impersonating a soldier. Check for half-price tickets! Every Tuesday afternoon for more than 60 years, Queen Elizabeth II has met with her Prime Ministers in a private audience, a gesture of unity between government and Crown. Through moments of tension, negotiation, war, and unrest, these conversations with political leaders from Winston Churchill to Harold Wilson to Margaret Thatcher have remained a constant across the years. 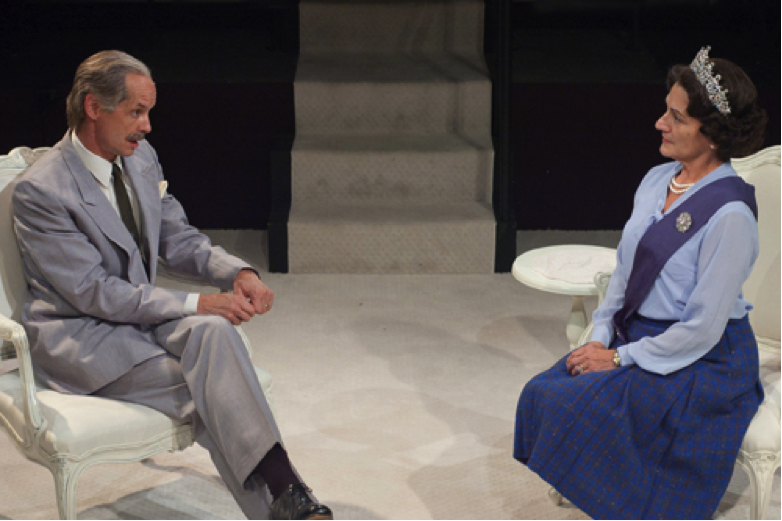 Playwright Peter Morgan re-imagines these meetings, giving us a glimpse at the queen’s role in guiding the circumstances that have shaped Great Britain, and a window into the mystery, compassion, and humor of the woman behind the iconic crown. Check for half-price tickets! A "must" for out-of-towners and Chicagoans alike. 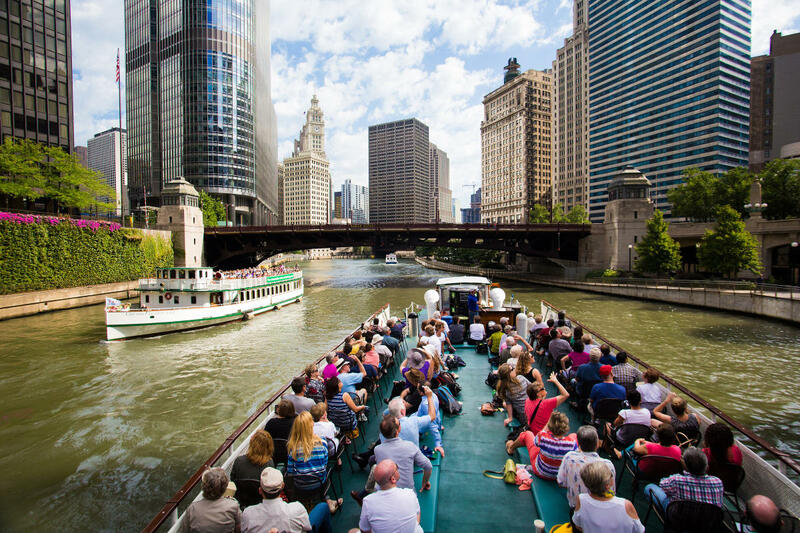 Chicago Architecture Center certified volunteer tour guides—called docents—interpret more than 50 buildings along the Chicago River, revealing how the city grew from a small back-country outpost into one of the world&apos;s most important crossroads in less than 100 years. Check for half-price tickets! For more recommendations, send a tweet to @ChicagoPlays with the dates of your Chicago trip and the type of show you’re looking for! Note that the schedule above is subject to change; visit the Hot Tix website for exact dates and half-price ticket availability. Visit ChicagoPlays.com to find other exciting productions on stage while you&apos;re here, and go here to find insider guides to all things performing arts and the Chicago theatre scene. Photo credits: Machinal, Evan Hanover. The Elaborate Entrance of Chad Deity, M. Freer Photography. The Men and Their Music starring Ron Hawking, Apollo Theater Chicago. The Audience, Lara Goetsch. Chicago Architecture Center river cruise, Adam Alexander Photography.